Audi-Lab offers a complete range of hearing aid moulds. They come in a variety of style and materials depending on the individual and hearing aid being worn. 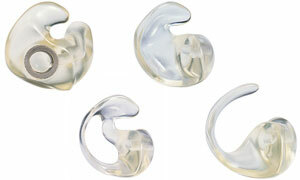 Earmoulds are a perfect choice for use with more traditional hearing aids. They offer the best acoustic properties, and long lasting comfort. Below you can see a selection of our earmould products designed for use with hearing aids. If you are looking for a design that is not shown here, please enquire because we can adapt existing designs or create custom ones for your needs. Waterproof swim plugs offer protection for those prone to ear infections or other ear problems. Made from soft silicone material for maximum comfort, the plugs float so you won’t lose them in water. 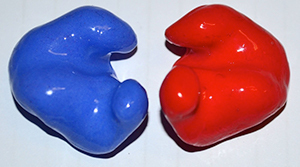 Swim plugs come in a variety of solid, marbled and neon colours. 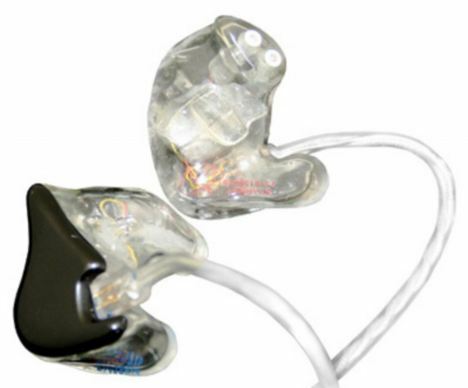 We also supply a range of custom made in-ear monitoring systems for a variety of uses. Generic bud type earphones do no fit every ear canal. Custom made earphones are an excellent solution providing high quality sound with wearing comfort. Over the years Audi-Lab has garnered a good reputation with in the broadcast industry for providing broad cast ear pieces for both television and radio use. We also can provide covert inductive ear pieces for both broadcast and security applications.